breakfast for dinner! 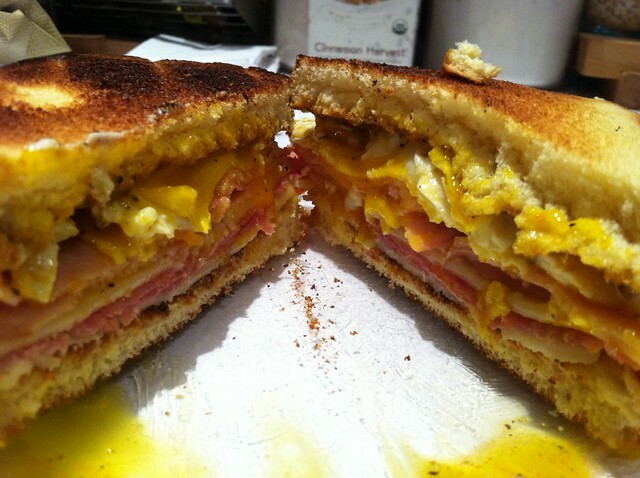 ham and egg sammiches – ugly food tastes better. So i actually made these 2 weeks ago before I left for Europe…I had to use up some stuff in my fridge, including my CSA eggs, which i learned the hard, black and neon green way, go bad a lot faster than store eggs. I also had some potato bread, ham, sopressata, and emmentaler cheese. Nutrition – several food groups? Sandwich spread of choice – I used Miracle Whip for mine and mayo for the boys. Step 1 – heat some butter in a small frying pan whilst toasting bread. Step 3 – Assemble sammiches! 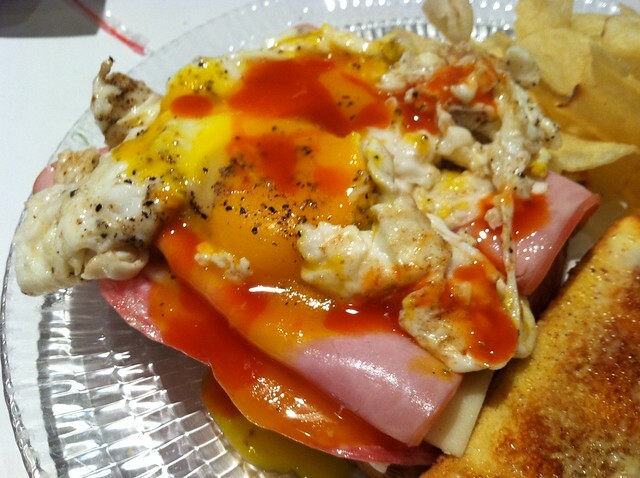 bread, spread, sopressata, cheese, ham, eggs, hot sauce, pepper, bread. That looks fantastic. I am salivating!